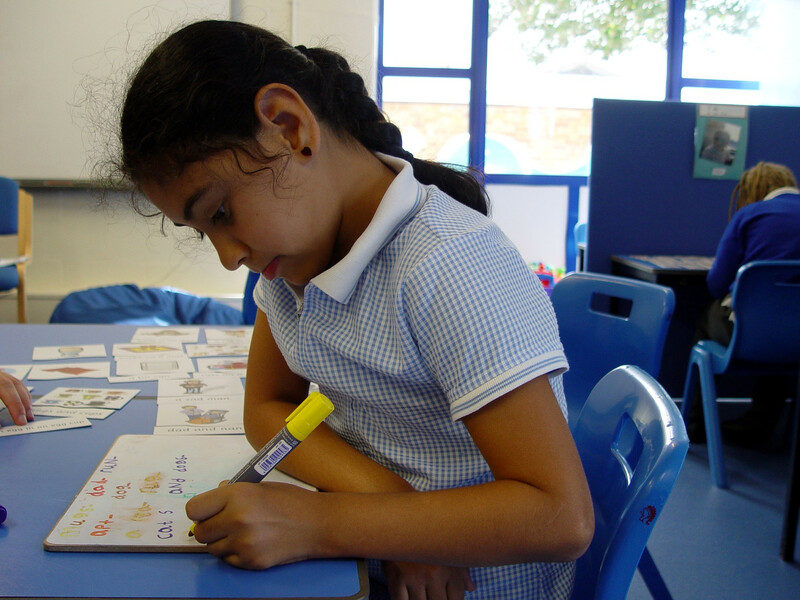 The Lime Class children have returned after the summer break with plenty of phonics work planned for the new term ahead at Turney School. This refers to the sounds that different letters make when placed together. 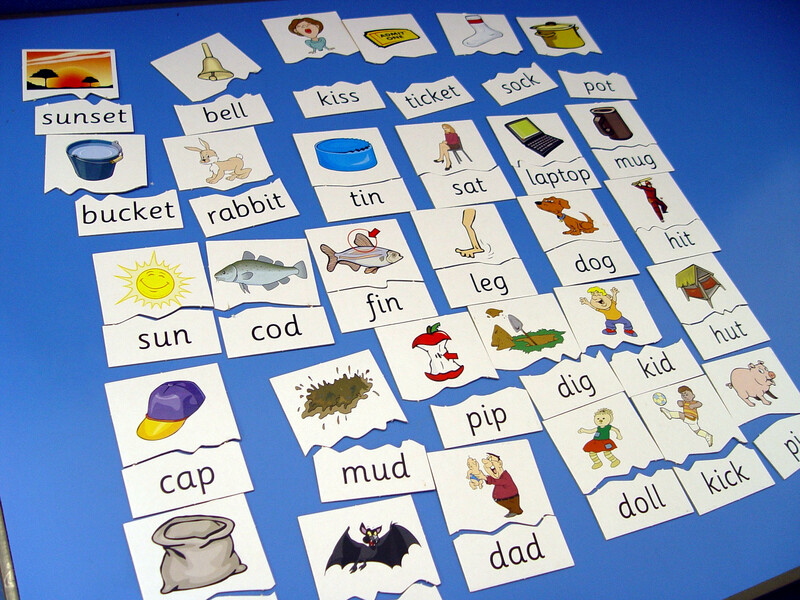 Phonics are the building blocks for all of our English learning. 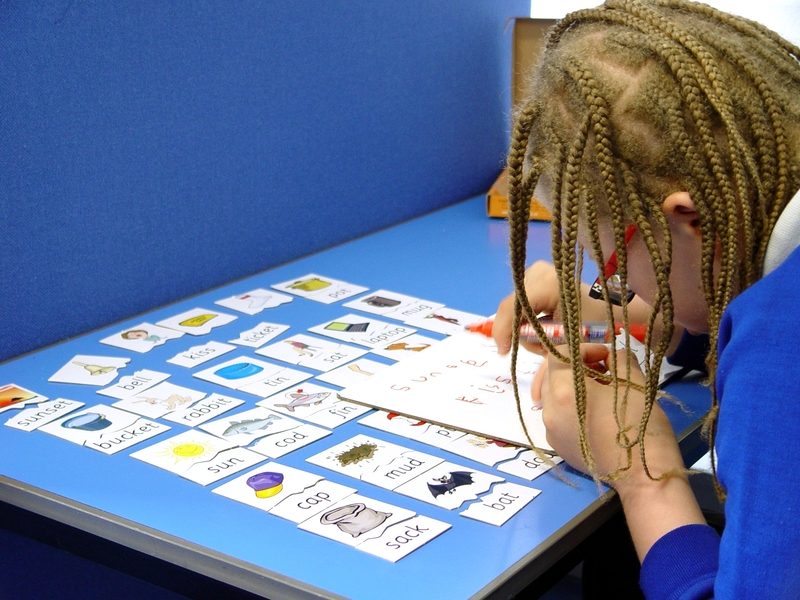 One of the early activities has involved the Lime Class pupils playing a phonics card game. A number of cards showing a picture were laid out on the table. The first task was to match a corresponding sentence for each image. Each pupil was then asked to choose one of the pictures and matching sentence. 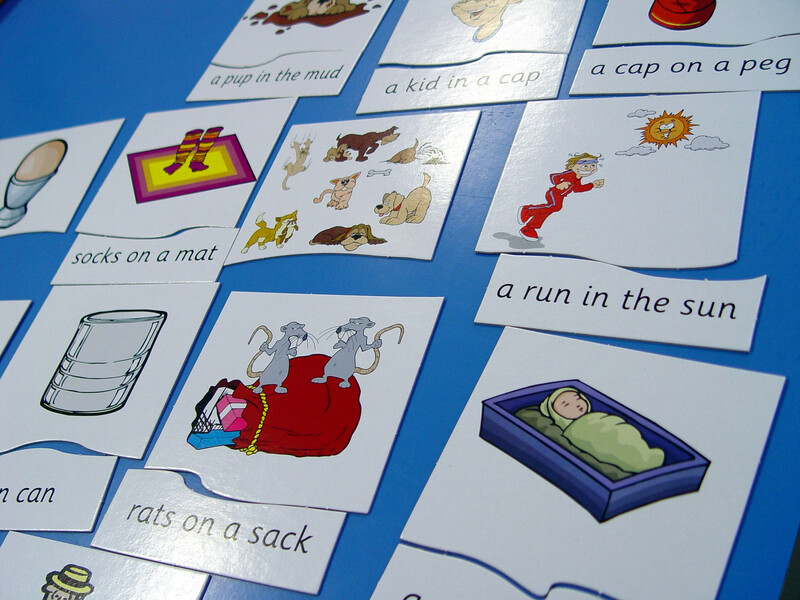 The sounds in the words were then read out to help complete a full sentence. Class teacher Bill offered guidance so that each pupil felt comfortable with the sounds that different letters make together. The next step was to write out the sentence on the whiteboards. 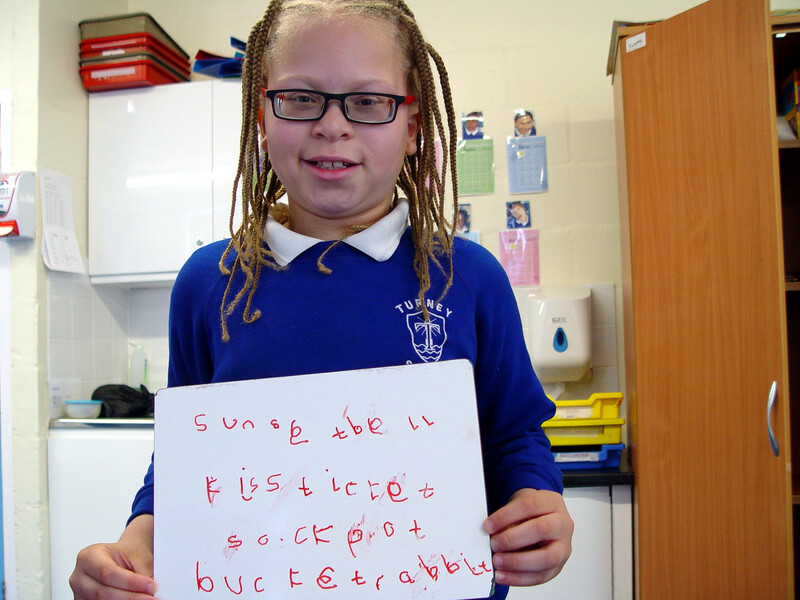 The children were asked to focus on their handwriting and basic punctuation. Attention was paid to making sure that finger spaces were in place between words, and that the sentence ended with a full stop. 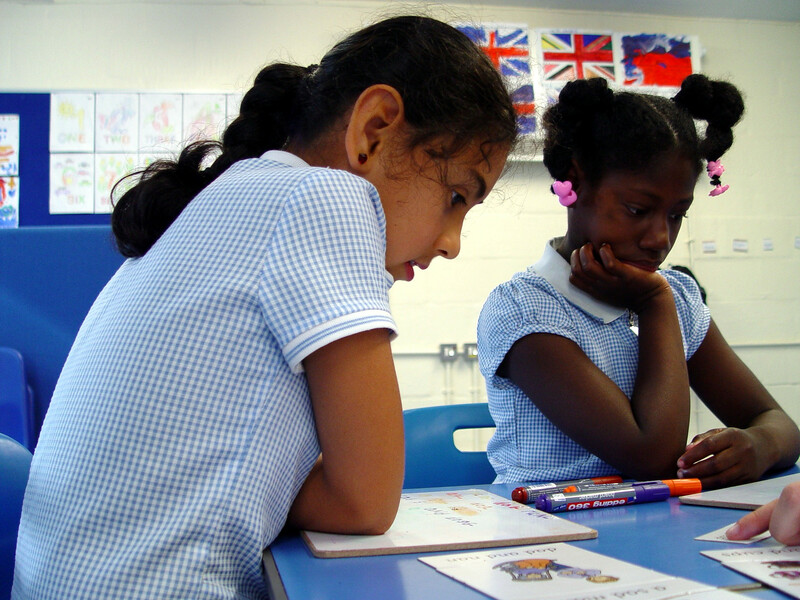 Reading and writing will continue to be the main focus for the autumn term in Lime Class. The teaching staff are keen for every class member to continue with their home reading. ← Welcome to the New Silver Class Turney School Children!